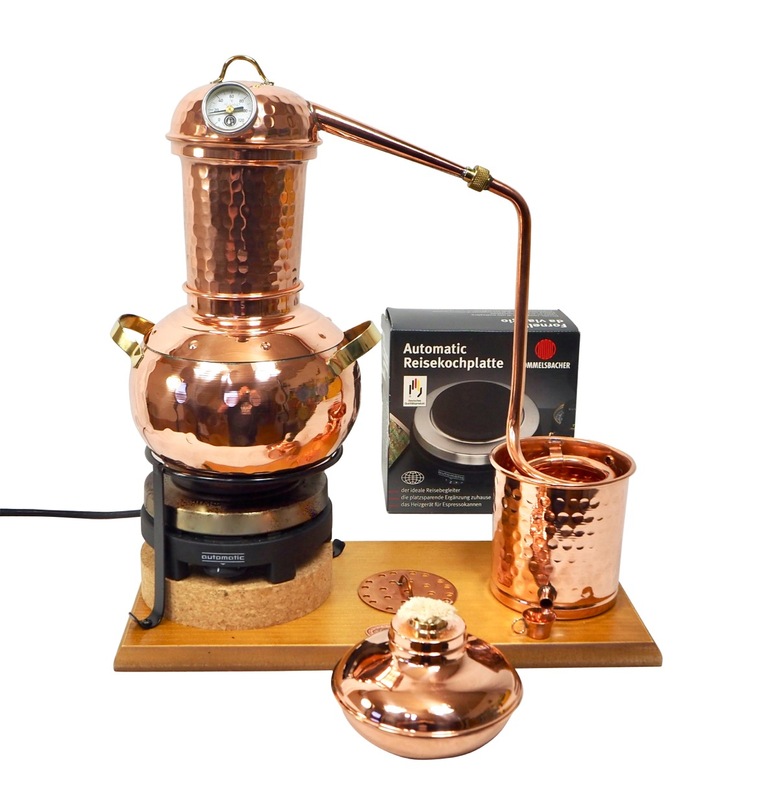 Italia Alembic still with thermometer, spirit lamp, electric hotplate and accessory set. 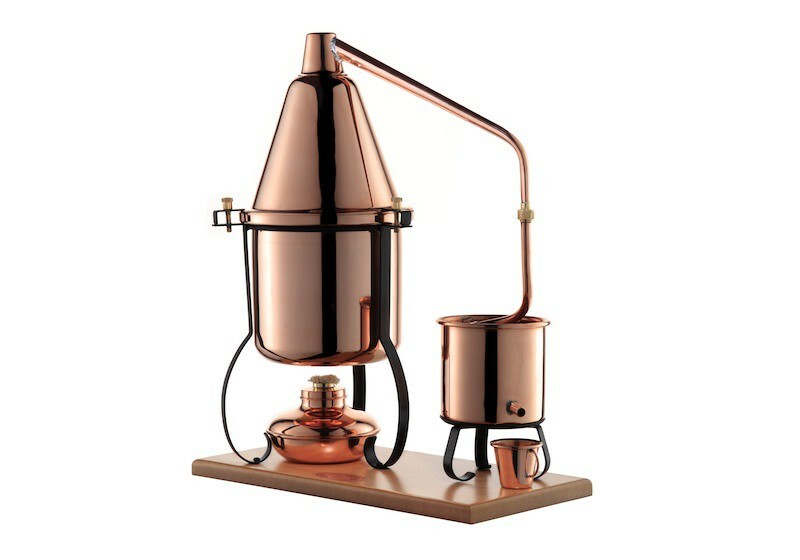 Ready for use distillation apparatus. 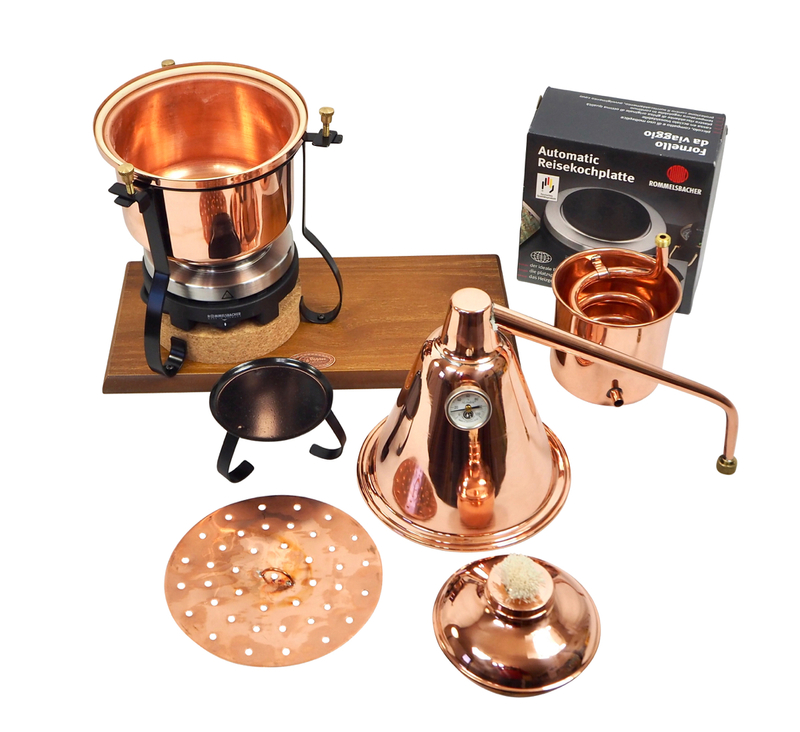 Versatile, extra stable, quality copper table still. 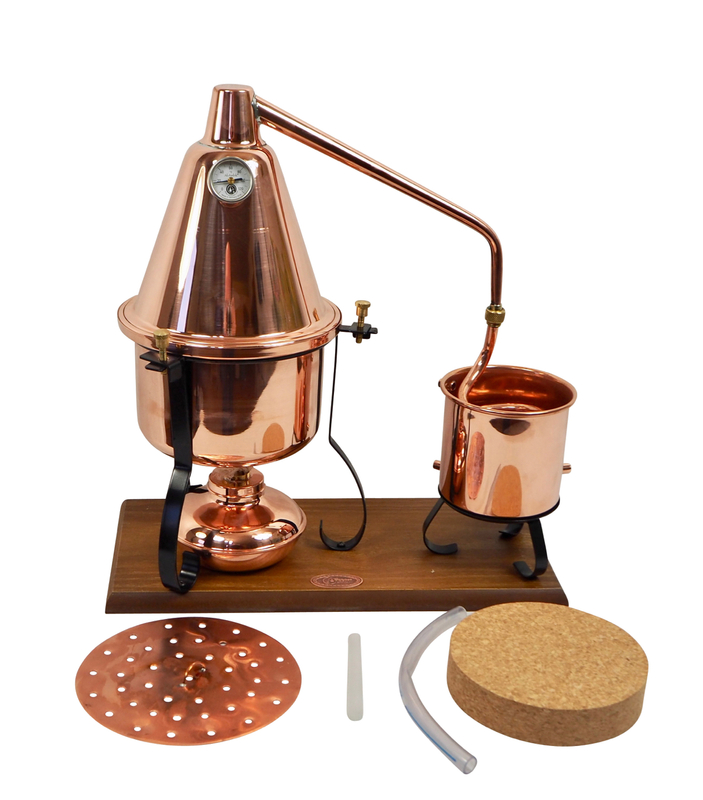 Excellent for distilling hydrosols, little amounts of essential oils and alcohol with its large strainer. 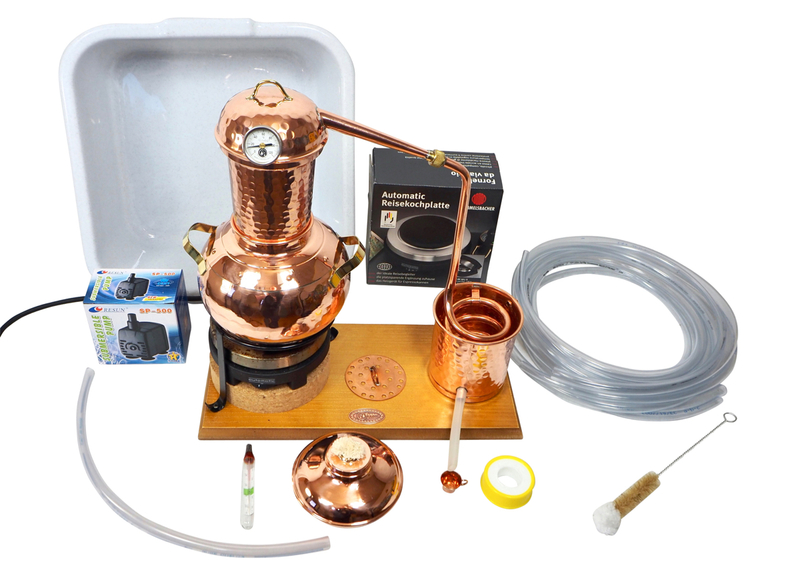 The Italia distillation still comes with an Al-Ambik distillation thermometer. 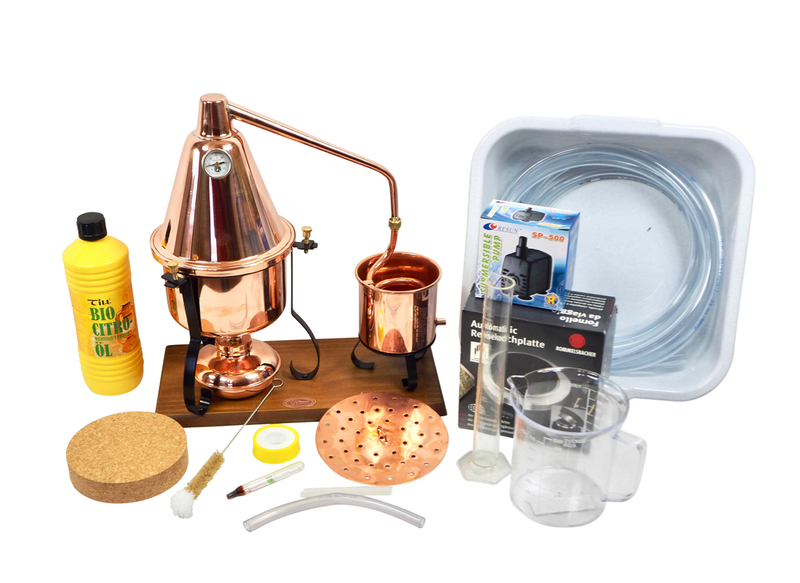 Due to its size and ingenious design, this table still can be used anywhere and is ideal for essential oil extraction and alcohol distillation. 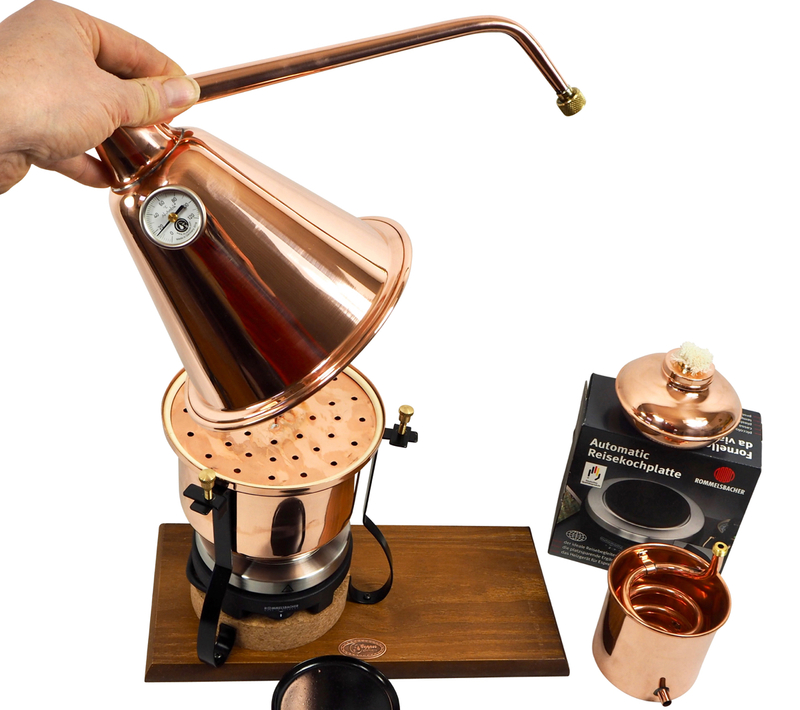 It allows distilling straight from the boiler or by using the steam basket (strainer). 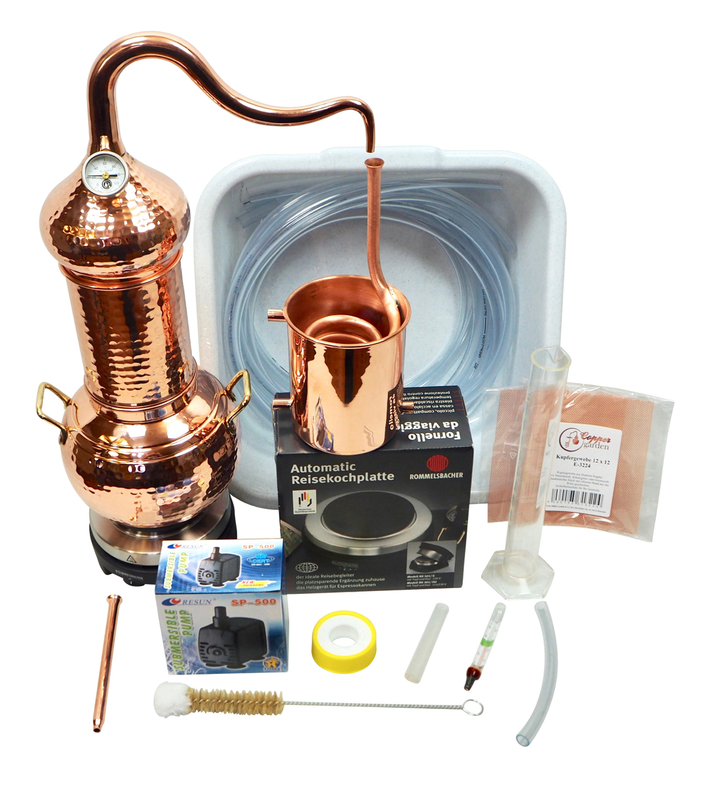 It’s the ideal alembic still for steam distillation to extract essential oils as well as for distilling a wide range of beverages. This still is very stable as its head is fixed on by 3 screws, which avoids unwanted opening in the case of overpressure. 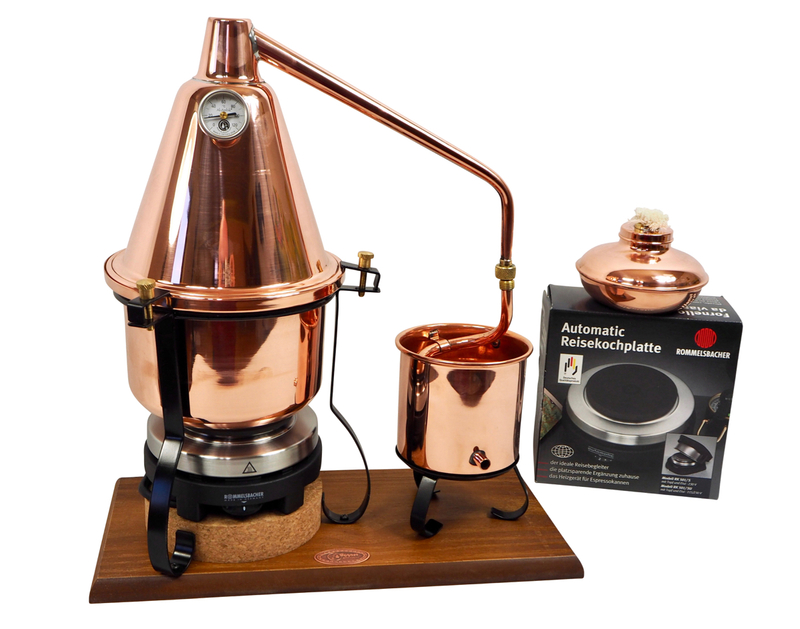 You can distill safely wherever you like. 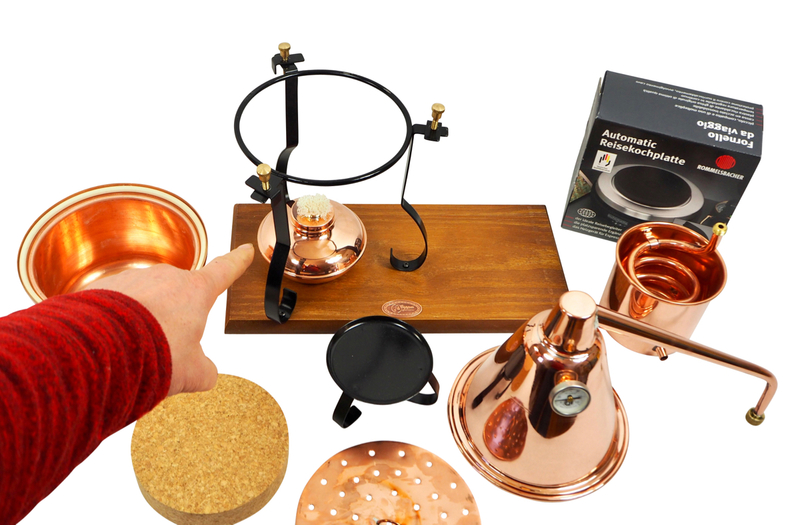 In the garden, the kitchen, at table or in the office. 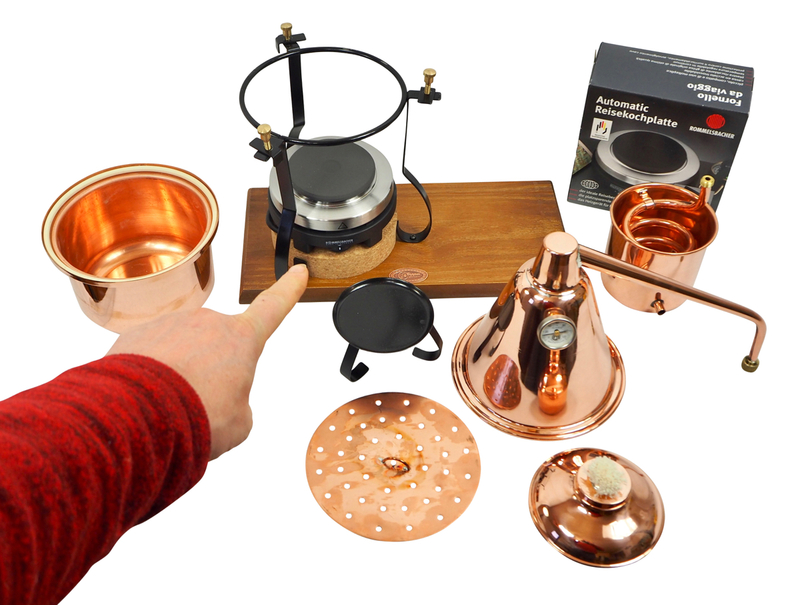 To heat the apparatus, an electric hotplate, made by "Rommelsbacher" is supplied. 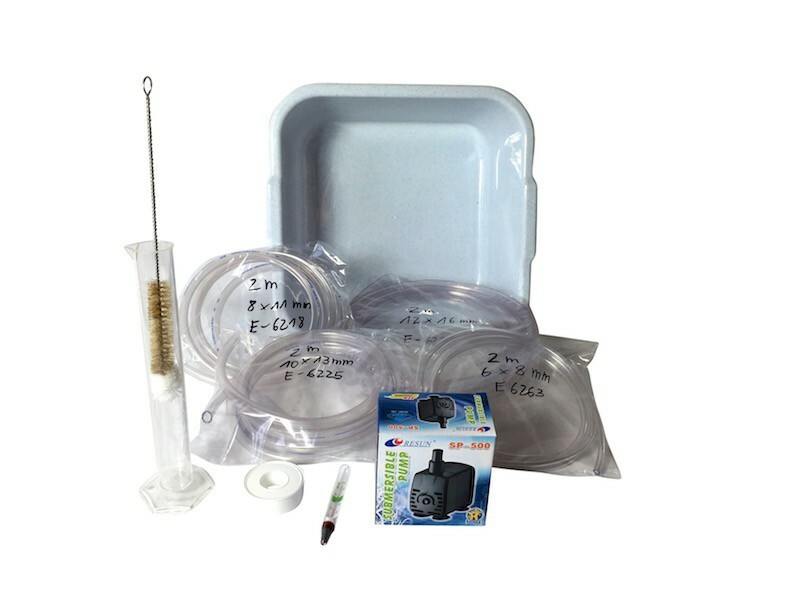 A compact, modern apparatus for hobby and professional use. 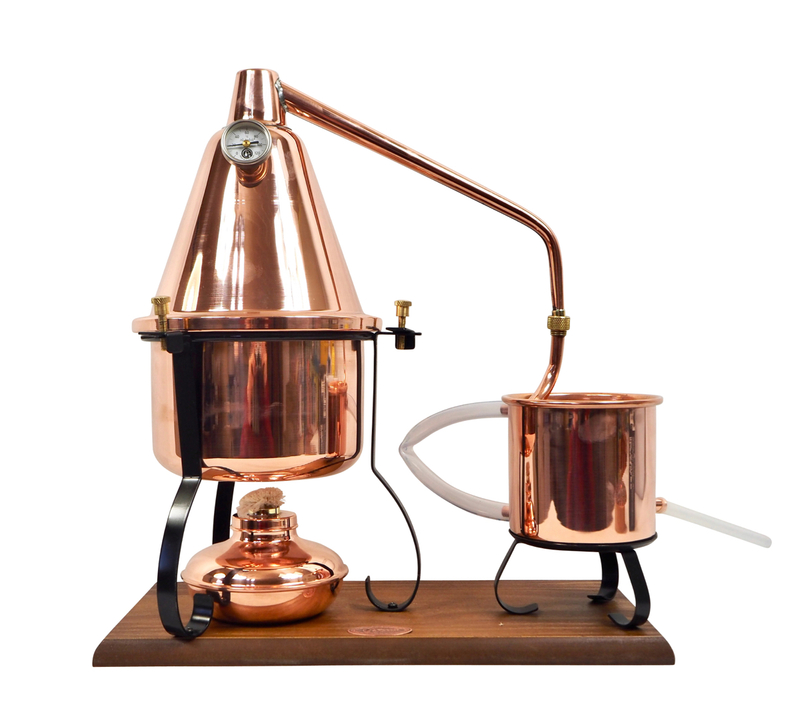 This Italia alembic table still unites all our clients’ desires: an optimized boiler, a large head which allows the steam to build up and ease the transport of aromas. 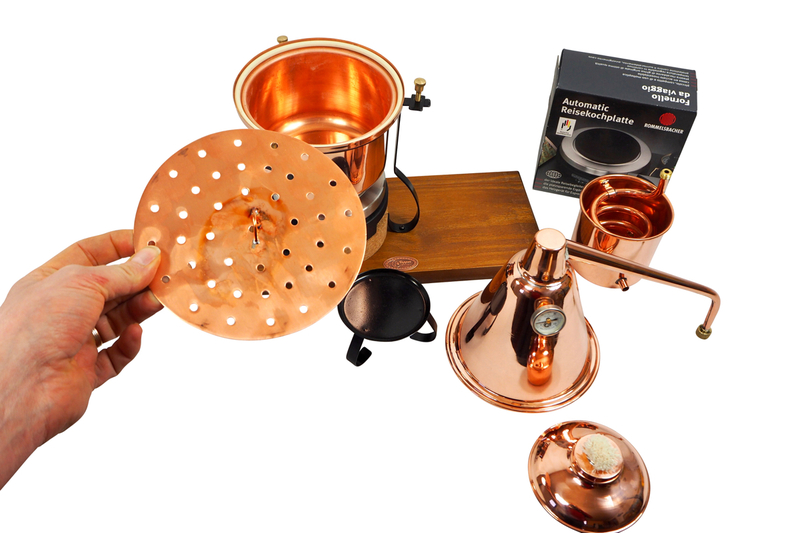 Between the boiler and the retort, the aroma strainer (steam basket) allows steam distillation. 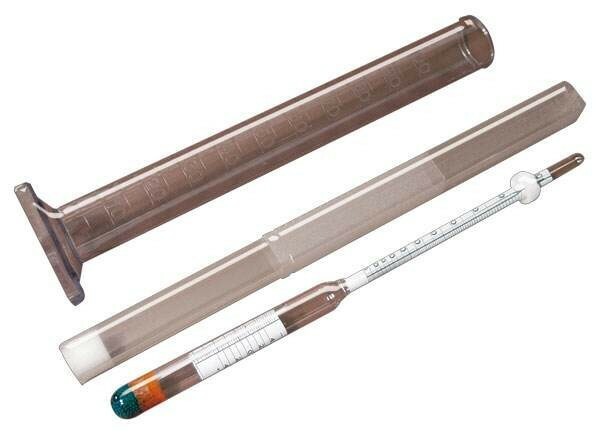 This model has an “Al-Ambik” distillation thermometer fitted to the head. The condenser is screwed onto the neck and a cooling system can be installed when using its water intake and outlet.